On our first free day in New Orleans James and I decided to take in as much of the city as we could on foot. The friend we are staying with attends Tulane Law School on the north-side of the city. Our mission was was to travel the 5 miles from there to the French Quarter and along the way find a good Louisiana-style vegetarian lunch. After wandering past seemingly endless blocks of Victorian mansions on St. Charles Street, we turned west toward the river and found ourselves on surrounded by boutiques, antique stores, and restaurants on Magazine Street. Increasingly warm and hungry, we happened upon Mahoney’s Po’Boy Shop just as the grumbling in our stomachs was becoming unbearable. 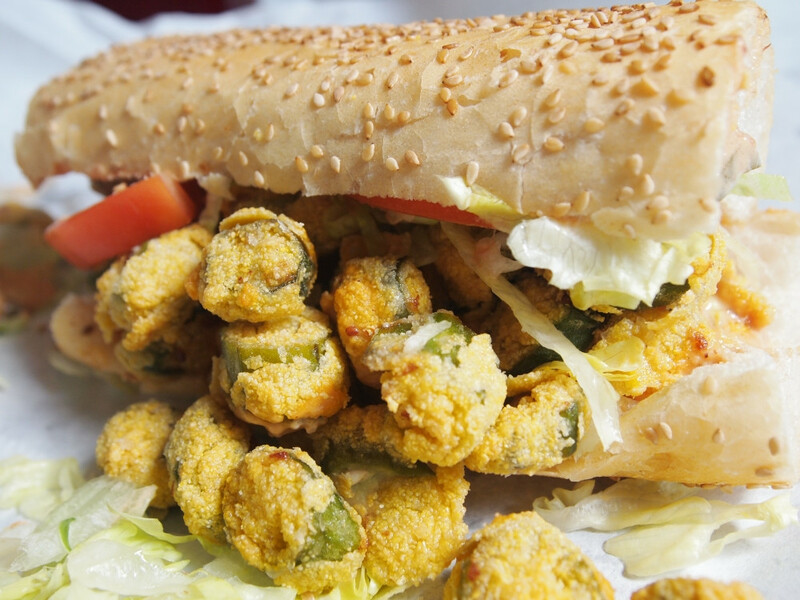 Luckily for us, Mahoney’s had a Fried Okra Po’Boy special for the day, as well as several other vegetarian po’boy options – including Fried Green Tomatoes, Eggplant Parmesan, Grilled Cheese, and even a Potato Chip Po’Boy. We opted for the Fried Okra and Fried Green Tomato sandwiches. When okra is abundant it is easy to get tired of it, but after a whole year without it (okra does not exist in any reliable quantity in Peru) this fried okra sandwich was divine. Both po’boys were moistened by homemade remoulade, consisting primarily of mayonnaise seasoned with horseradish, green onions, and chopped hard boiled eggs. After separating ourselves from the table, we resumed our trek to the center of town only to be halted once again by a sign advertising a $2 seasonal Abita. 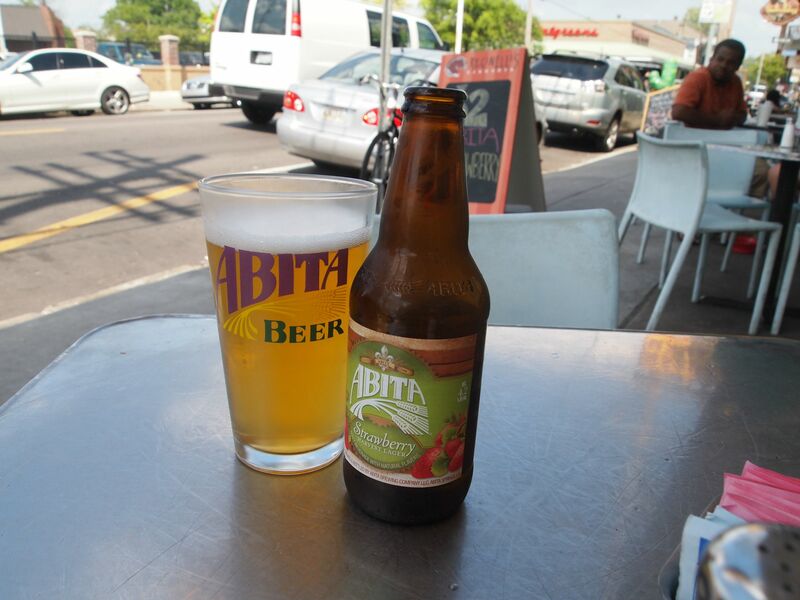 The Strawberry Harvest Lager is a light refreshing beer with a strawberry finish. Not a bad way to cool off and relax on a beautiful warm spring day.